Amidst all the press that BMTC is getting recently, one thing that caught attention was talk of mini buses, shuttles and feeder routes. As we all know, feeder plans, and solid execution of first/last mile connects can help increase usage of BMTC as well as (future) metro. In a report on the new Big-trunk (new name for Big10), number mentioned was I think 40 minibuses, and number of ruotes 110. For single staff operation, they would want a minibus equipment where the entry door is in the very front, so that the driver can deal with commuter as they come in. But then, with a single, most likely single narrow door upfront, mini bus would have to spend a lot of time to pick up and drop passengers. All of above make sense in some way. So I am very very curious to see how the mini bus plans are moving now. 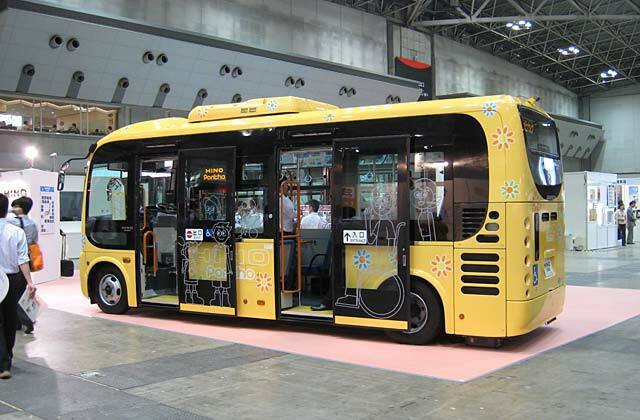 We are perhaps looking at 2 staff on every bus (driver, conductor) and wide door, in the center, to keep things simple. How the routes would be planned is a separate subject. Keenly looking forward to BMTC publishing the list of its 110 mini bus routes. From what we have seen in news reports, the routes should be around the Big-trunks. But what is not clear is if there is any concept of "change hubs". These could be the points where mini buses would connect with Trunk routes, and should need enhanced bus stops with more space, and printed information at least on feeder routes and timings. 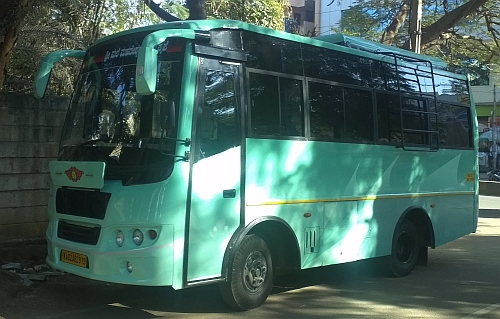 Look forward to seeing more information on BMTC's renewed love for feeders / minibuses. It is better for BMTC to introduce a smart card and GPS based amount deductor. Passenger has to swipe in while entering and swipe out (something like Metro contact less cards), based on the distance travelled, amount should be deducted. This reduces the work of the driver and he could concentrate more on driving. As with the longer bus..i guess it will be important to have bus with low flooring and wide doors to enable faster round trips. I dont see any of the indian models now adhereing to such specs..is there a way to involve the manufacturers to build something like that as part of JNNURM? quick get-in/get-out linked with ticketing method? But also, easy get in get out design goes hand in hand with smart ticketing, isn't it. Since these are last mile shuttles (may not be true BTW, because these buses may instead get used as extension route to connect village sin the peripheral area), ride times would be low, and easier it is for people to get in and get out, harder it will be for TCs. Right? Why not make last mile shuttle rides require a special "annual local pass". And make buying a local pass mandatory along with property tax payment, and with new car registration. That would fund a bit for the abusers of the system. Then, driver himself can just ask for the "local pass" to be shown when you board the bus. yes having a bus pass should help hop in-out of these shuttles faster..the other thing was having a ticket for the trunk routes should automatically give public free access to these shuttles.,. addressed at http://www.mybmtc.com/sites/default/files/Selection%20of%20Institution%20for%20providing%20Smart%20Card%20Based%20Fare%20Collection%20System%20for%20BMTC.pdf . Not sure how long does it take for full fledged implementation of the same. What about Metro/BMTC unified ticketing? No mention in the tender.